Love Connect Four? 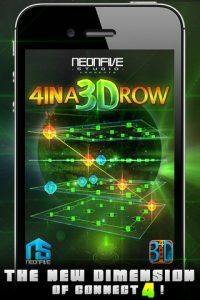 Get prepared to take your favorite childhood game to the next level with4 IN A 3D ROWfor iPhone, developed by NEONFIVE STUDIO. In short, it’s a 3D, fast and furious cube-style take on Connect Four. This ain’t the same game you grew up playing: you’ll need to train your 3-dimensional sense in a completely new way. It’s almost like mastering a Rubik’s cube, and you need to keep your eyes on all parts of the cube to succeed. 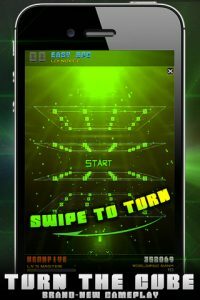 The controls for 4 IN A 3D ROW are very sensitive and immersive, and it is very easy to spin the cube around and plot your next move. Simply swipe your finger to view the cube, then tap to place your glowing gem marker. But unlike Connect Four, 4 IN A 3D ROW gets more interesting the more often you play it. While Connect Four is a pretty static, predictable game, 4 IN A 3D ROW allows you to unlock several different levels of difficulty, as well as achievements and turntime modes. 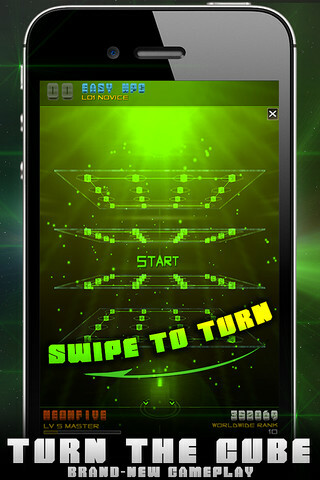 Play against people worldwide and stay on top of the crowd using Game Center. The graphics are really excellent, and give the game a feel that’s part cyberpunk, part Star Trek, and part 1990’s depiction of hacking. It manages to feel fresh and nostalgic all at once, and that’s a pretty impressive thing to pull off. 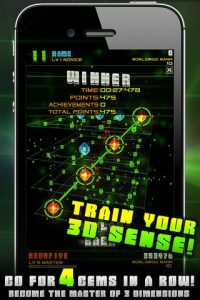 If you love puzzles, thoughtful strategy titles, Connect Four, Rubik’s cubes, or general time-wasters, 4 IN A 3D ROW offers gameplay that’s amusing, challenging, and just plain fun. 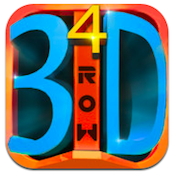 If you want to get lost in a wonderfully immersive title, 4 IN A 3D ROW is definitely an iPhone game worth checking out. 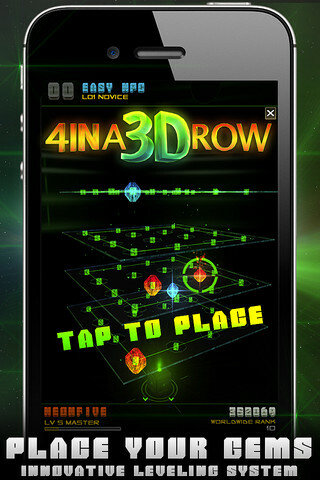 It may have kind of a clunky name, but 4 IN A 3D ROW offers up gameplay that’s anything but. 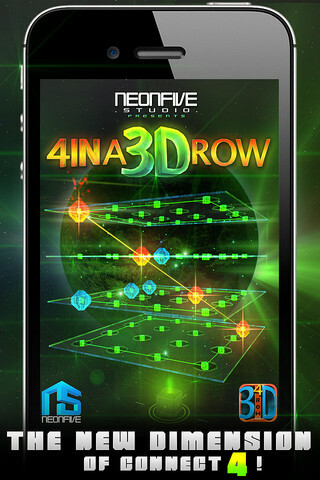 4 IN A 3D ROWis compatible with iPhone, iPod touch, and iPad. Requires iOS 3.1.3 or later. A small expedite fee was paid by the developer to speed up the publication of this iPhone game review.